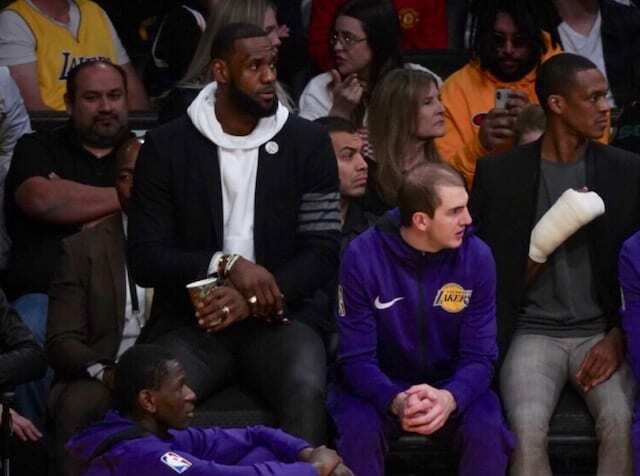 After signing LeBron James this past summer the Los Angles Lakers filled out their roster around him by adding an eccentric mix of players, including Rajon Rondo, JaVale McGee, Lance Stephenson and Michael Beasley. Now, they could be on the verge of bringing in yet another character in Carmelo Anthony. 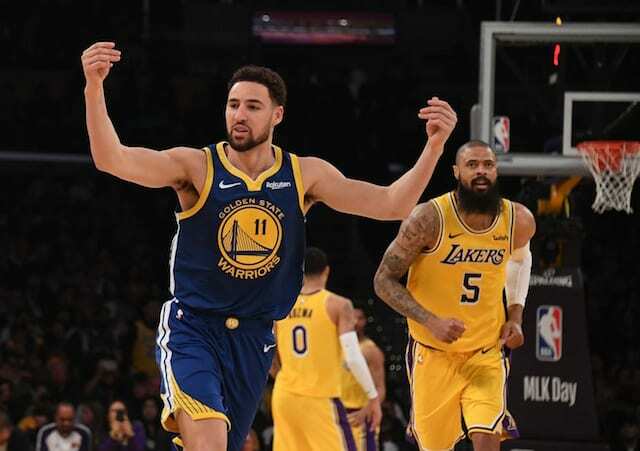 On this episode of the Lakers Nation News Feed, host Trevor Lane digs into the latest rumor suggesting that Anthony could ultimately find himself in purple and gold prior to the trade deadline on Feb. 7. 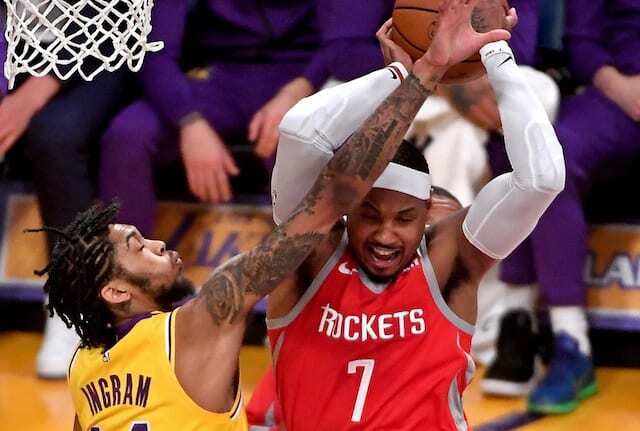 A recent report by Sam Amick and Joe Vardon of The Athletic notes that Anthony has multiple options on the table that would see him part ways with the Houston Rockets, who sent the former All-Star home in mid-November after playing just 10 games with the team. James has spoken about his desire to play with Anthony, who is a close friend and someone he believes still has something left in the tank. 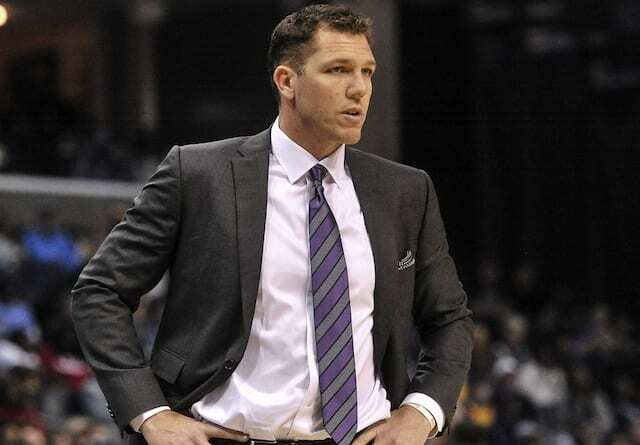 However, the Lakers are hesitant, and with good reason: with no open roster spots they would either need to waive a player to make room or find a trade. That’s not an easy pill to swallow, particularly since Anthony’s last few teams have gotten better after watching him walk out the door. Still, Anthony does have a skill set that could be useful on a Lakers team that can struggle to score. He certainly isn’t the player he once was, and the game has passed him by somewhat in terms of playing style, but the notion of Anthony being a serviceable NBA player at age 34 isn’t completely absurd. A lot of his success or failure moving forward will depend on Anthony himself and his ability to adapt to the new reality that he’s no longer a star in the league. If he can find a way to fit into a system he could still provide some value, the question is whether Los Angeles is the place for that to happen.